Crayola Twistables Crayons - Twist up the fun! Crayola Classic Twistables require no peeling or sharpening. When the tips get worn down, just twist them up and you're ready to keep on coloring. The clear plastic barrels keep them from breaking and make it easy to see how much color is left. Each box includes 8 crayons. 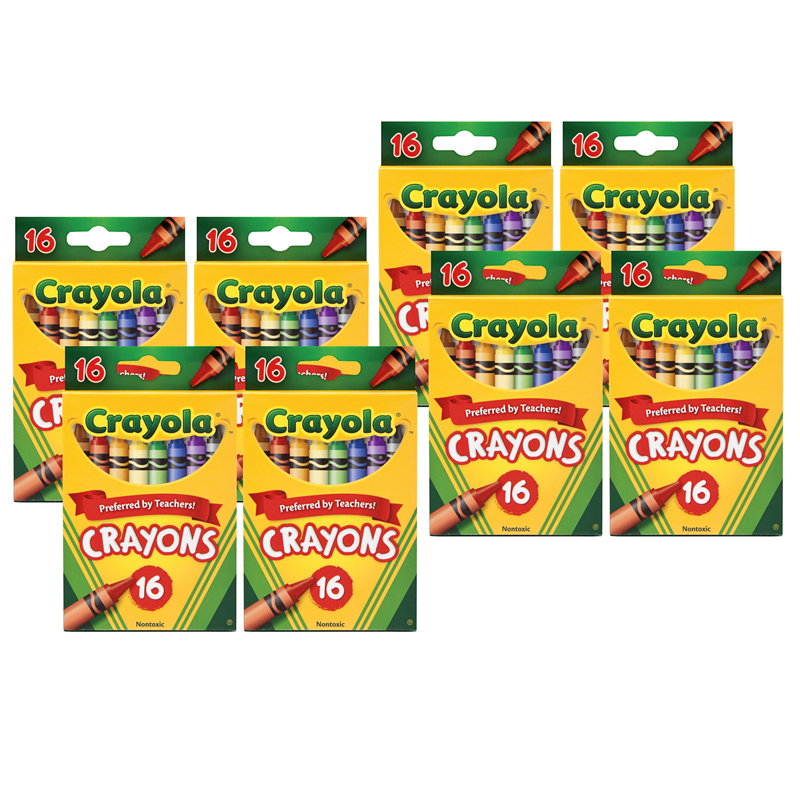 Bundle includes 8 boxes for a total of 64 crayons. 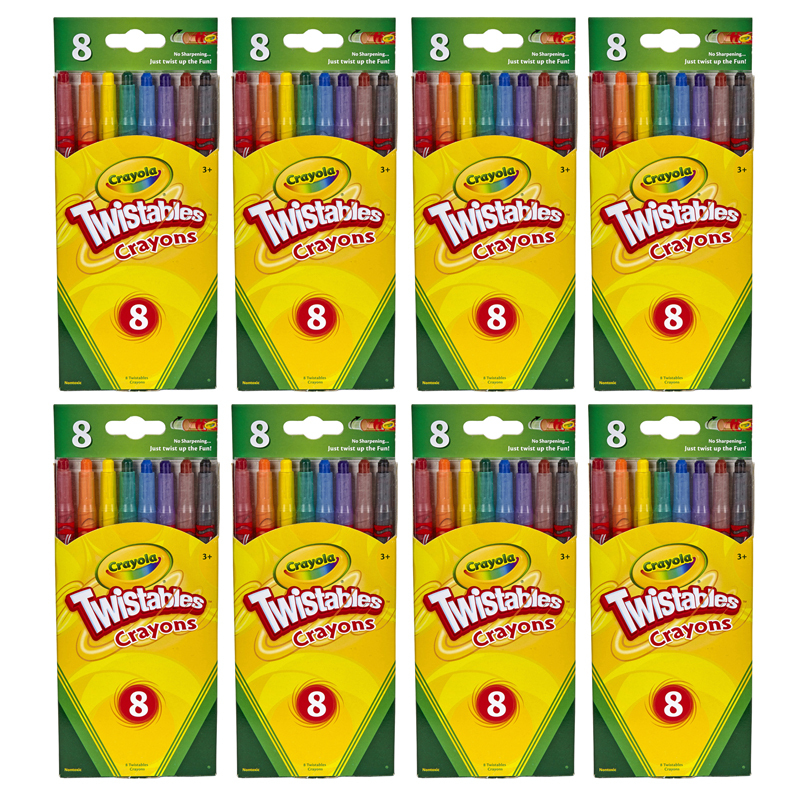 The (8 Bx) Crayola Twistables Crayons8ct Per Bx can be found in our Crayons product category within the Arts & Crafts. Color with any of these great crayons, and then use a wet brush to achieve special effects. 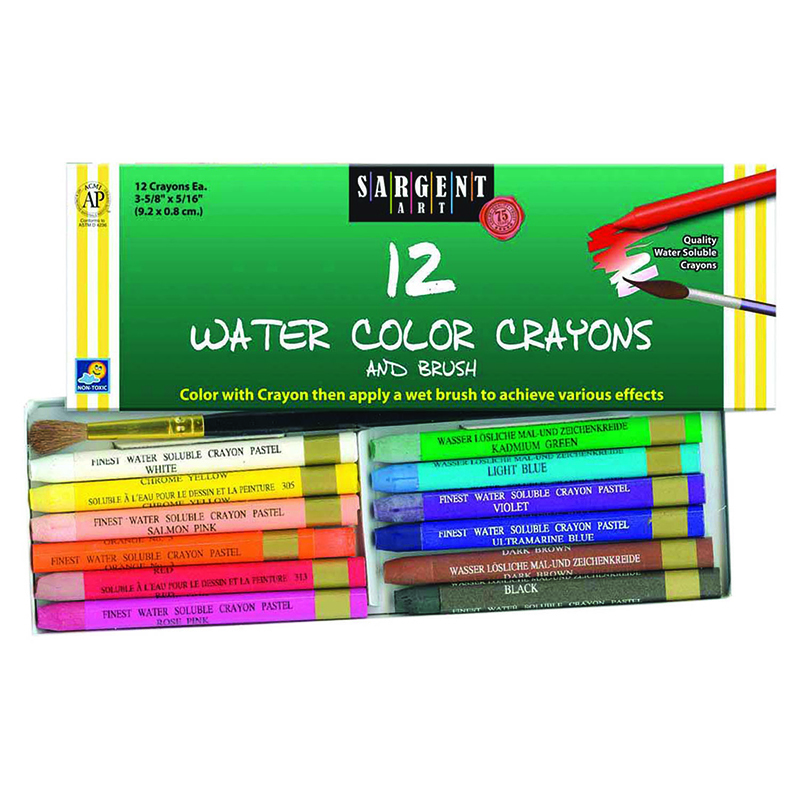 Each pack includes 12 watercolor crayons and a brush in an easy-to-use sleeve package. Includes art tips for achieving special effects on back of package.